American Brandt Snedeker shared the overnight lead with England’s Justin Rose, and shot a two-under-par 68 for 10 under overall. 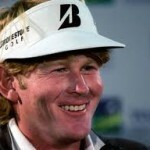 Snedeker’s dreams were only briefly threatened during the final round, when he found the lake at the sixth hole, resulting in a double bogey. But superb putts from 40 feet and 18 feet respectively at the eighth and 13th enhanced his reputation as one of the Tour’s finest on the greens, he missed only one putt from inside eight feet all week. Rose (71) holed a long putt on the 18th for second, three shots behind, with compatriot Luke Donald (67) tied-third. Rose managed to hole a fine putt of his own, from 14 feet, on the final green to wrap up second place. Former world number one Luke Donald fired a second successive 67 to secure a share of third place in the Atlanta tournament with American Ryan Moore. Both American Webb Simpson and Bubba Watson in fifth place. Tiger Woods, who was four shots behind, was the first to leave the picture. He missed the first fairway with a 3 wood and made bogey, hit into the water on the par 3 sixth hole and was never a factor the rest of the way. He birdied the last hole for a 72 and finished eight shots behind in a tie for eighth. Rory McIlroy, who won the Tour’s two previous play-off events and took a decent lead into the PGA Tour Championship closed with a 74 for a share of 10th place on one under. 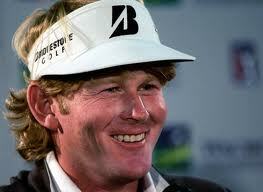 Snedeker wound up to win the Tour Championship trophy that came with US$ 1.44 million. Add the US$ 10 million bonus from the FedEx Cup, and it’s the richest payoff in golf. He finished with US$ 14,989,739 in total earnings this year.